Dallas Police Chief David Brown at a news briefing following the ambush on Dallas police in July. After 33 years on the force, Dallas Police Chief David Brown will retire on Oct. 22. He announced the news on the Dallas Police Department's blog Thursday. Brown's announcement comes nearly two months after a lone gunman carried out an ambush on police as a peaceful protest in downtown Dallas was ending. Five officers were killed and nine were injured in the July 7 attack. Brown mentioned the fallen officers in the announcement: "Their memory will remain with all of us forever. I know the people of Dallas will never forget the ultimate sacrifice they made on the streets of our city that awful night." Since this summer’s shootings in downtown, Brown has stressed the importance of giving Dallas officers counseling paying Dallas officers more money – and paying them more so they don’t leave for other North Texas departments. Brown has been police chief since 2010. Brown's six years as police chief was tumultuous at times as he clashed with police union leaders and others. He joined the force in 1983, motivated by the impact the crack cocaine epidemic had on his Oak Cliff neighborhood. He has since served as a patrol officer, investigator, deputy chief and first assistant chief of operations. “Since that time I have taken great pride in knowing that we have always been part of the solution and helped to make Dallas the world class city it is today,” Brown said in his statement. City officials say Brown was the city's longest-serving police chief in more than 50 years. Assistant Chief David Pughes will serve as interim police chief as the department conducts a national search for candidates, Dallas City Manager A.C. Gonzalez announced in a press release Thursday. Pughes has a bachelor’s degree in criminal justice, a master’s degree in human relations and business, and he received national recognition for development of an eyewitness identification reform program for the Dallas Police Department, according to Gonzalez. You can read the full announcement at the bottom of this post. In 2010, months after Brown became chief, his 27-year-old son, David Brown Jr., was shot to death by police after killing an officer and another man in Lancaster. “Well, it was a tragedy. The bottom line is a dad - I mean, can you just imagine not only losing your son, but to realize that your son - and you're the Dallas police chief - your son killed a fellow officer,” Humphrey said. Humphrey told NPR that David Brown asked him to arrange a meeting with the families of both men his son had killed. Dallas officers complained morale was low, while police response times for emergency calls were getting longer. Last fall, Dallas Police Association President Ron Pinkston pointed the finger at Brown. In response, at the time, Brown touted his policies, which instruct officers to slow down and be cautious when handling potentially dangerous situations. He said that approach has had results. Shootings involving police have declined and excessive force complaints dropped significantly. Brown was back in the spotlight early this year when the city experienced a violent crime spike – with big increases in aggravated assaults and murders. He moved scores of officers onto task forces and different shifts – moves that created grumbling among the rank and file. The police department ended up spending millions of extra dollars in overtime to help bring down crime. Then the July police shootings happened. Brown became the public face of the department, giving press conferences and national media interviews. He spoke at candlelight vigils and memorial services. At a candlelight vigil one July evening, Brown said the fallen officers were like superheroes — like Superman. “Faster than a speeding bullet. More powerful than a locomotive, able to leap tall buildings in single bound,” he said. Cops, Brown said, are always focused on getting the job done. He told the vigil that the police department was focusing on helping families of the victims. In a brief press conference Thursday afternoon, Mayor Mike Rawlings said Brown's retirement was not a surprise. Six years as the head of a metropolitan police force is an "eternity," Rawlings said. The mayor credited Brown with transforming the department by reducing the number of officer-involved shootings, urging transparency and implementing other measures. He also praised Brown for his leadership in the aftermath of the summer's deadly police shootings. 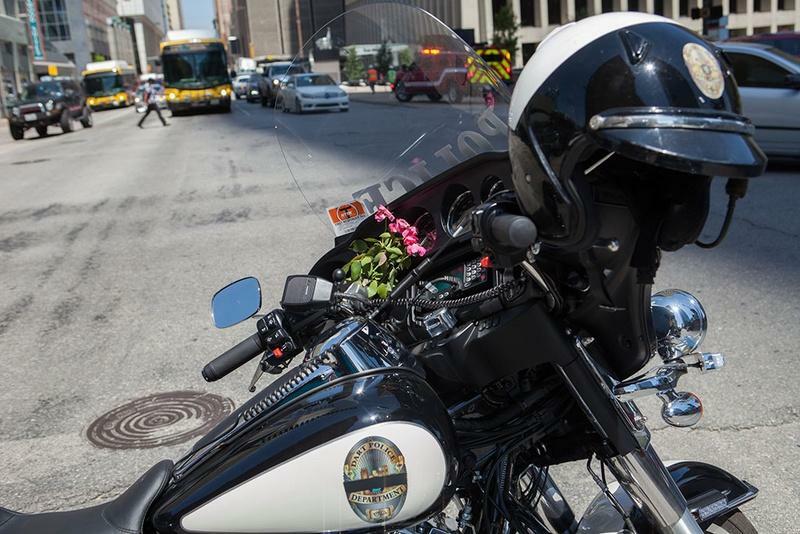 "In the wake of the tragic shootings of July 7th, when we lost four Dallas police officers and a DART officer, the whole world learned what a special man leads our Dallas police," Rawlings said. "David Brown is a straightforward man, he’s a man of integrity and of courage. He’s a man that believes in the simple proposition: to do what is right and treat everyone with respect." Rawlings also said the department under Brown for the first time had majority minority personnel, reflecting the diverse population of Dallas. Brown had been talking with City Manager A.C. Gonzalez about retirement for about a year. Gonzalez said Brown leaving is something he's "not been looking forward to at all." Following Gonzalez's retirement in January 2017, the new city manager will conduct the search for Brown's successor. Brown, who's currently in Austin playing golf with his wife, is looking forward to doing more of that, Rawlings said. Gov. Greg Abbott issued a statement about Brown's retirement. "Over the past three decades, Chief Brown has been dedicated to preserving the safety of others," Abbott said. "At no time was his exemplary leadership more evident than in the aftermath of the heinous shooting of law enforcement officers this July in Dallas. Thanks to his unwavering commitment to protecting his community, Dallas has emerged even stronger, and on behalf of the entire State of Texas, Cecilia and I thank him for his service." After much prayer, I am announcing my retirement from the Dallas Police Department after 33 years as a Dallas police officer. My retirement will be effective October 22, 2016. Serving the citizens of Dallas in this noble profession has been both a true honor and a humbling experience. Thank you to Mayors, City Managers and Dallas City Council members past and present for allowing me to serve. Thank you for the service you have provided for this great city. 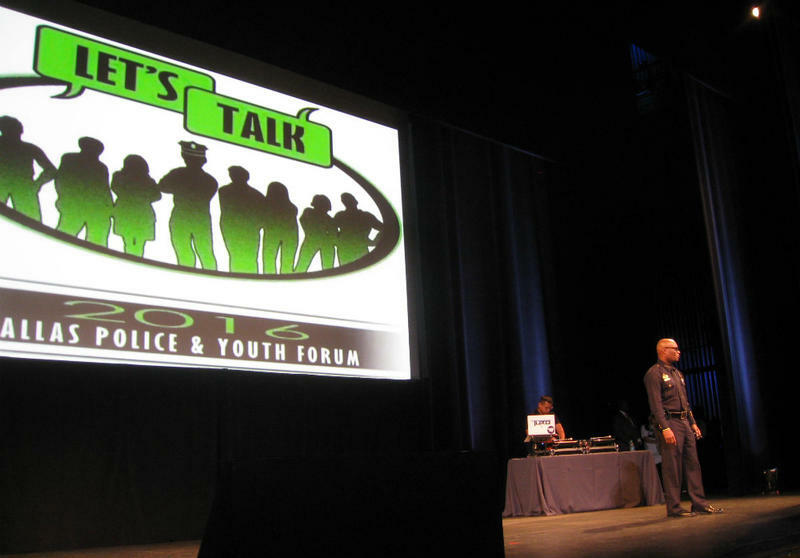 I became a Dallas cop in 1983 because of the crack cocaine epidemic’s impact on my neighborhood in Oak Cliff. I wanted to be part of the solution. Since that time I have taken great pride in knowing that we have always been part of the solution and helped to make Dallas the world class city it is today. Let’s always remember the fallen officers including the five officers on July 7, 2016, and the brave men and women of the Dallas Police Department for their sacrifices to keep Dallas safe. Their memory will remain with all of us forever. I know the people of Dallas will never forget the ultimate sacrifice they made on the streets of our city that awful night. Officers, your extraordinary service will forever be etched in my heart and will serve as a guidepost for me in the next phase of my life. You will always be in my prayers. I want to thank my family for their love and support. This is a difficult decision. I pray for your understanding and well wishes. Finally, I want to acknowledge my Lord and Savior Jesus Christ for my life, health, and strength. I pray for His continued blessings over my life. He signed the letter: "Thank you Dallas and God bless!! ~ Chief David O. Brown #DallasStrong". Brown said he will provide further details at a press conference on Sept. 8. The time of that conference is undetermined. David Brown is retiring after serving as the longest serving police chief in the City of Dallas since 1960. Assistant Chief David Pughes will serve as Interim Police Chief as we conduct a national search for candidates. David Pughes has a bachelor’s degree in criminal justice, a master’s degree in human relations and business and he received national recognition for development of an eyewitness identification reform program for DPD. The world learned what a superstar David is in the aftermath of one of the most painful tragedies our city has ever experienced - but we’ve known about his strengths for some time. David joined the Dallas Police Department in 1983 and has since served as patrol officer, an investigator, deputy chief and first assistant chief of operations. During his tenure, he set the bar for transparency, community policing and involving our youth. He worked hard on creating a diverse police force and brought us some of the lowest crime rates since the 1930s. He implemented body cameras for 1,000 officers and reduced the use of deadly force by a record number. Beyond these accomplishments, David is a person of high integrity, character and an unrelenting resolve to serve the citizens of Dallas in the most professional manner possible. It’s been a pleasure to work with David. We will miss his leadership. Several hundred kids filled the Winspear Opera House Thursday not to catch a performance, but to talk to police. 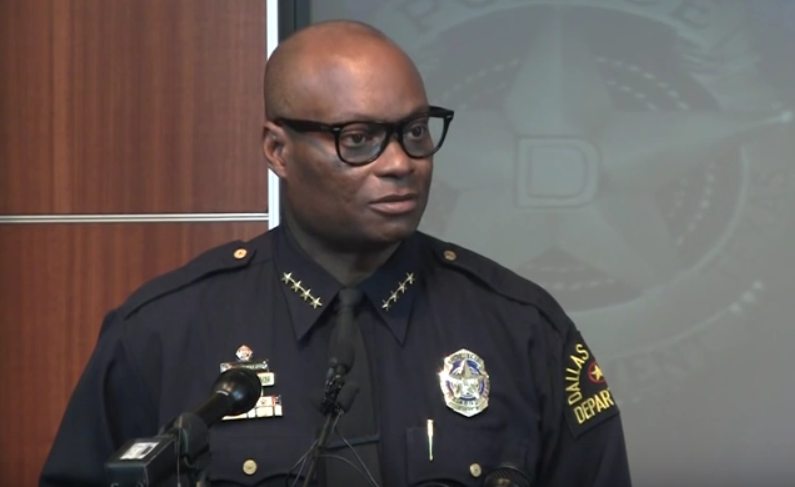 Dallas Police Chief David Brown says several officers testifying on the fatal shooting of five colleagues last month were overwhelmed when they returned to the scene and that some could need up to five years of treatment to recover from the trauma. Speaking the morning after the streets of Dallas became a war zone during a sniper attack on police officers, Police Chief David Brown said, "We're hurting." He continued: "Our profession is hurting. 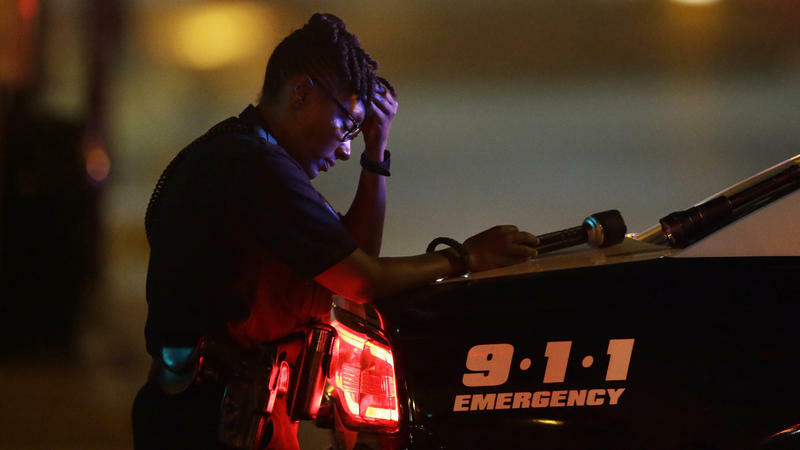 Dallas officers are hurting. We are heartbroken. There are no words to describe the atrocity that occurred to our city. All I know is that this must stop, this divisiveness between our police and our citizens." The day after Dallas became the scene of the single greatest loss of police officer lives since September 11 brought a fragile peace.